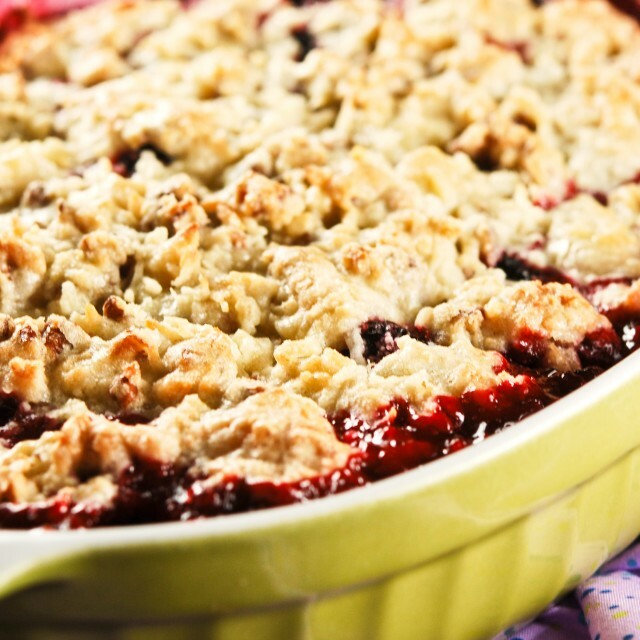 Our Old Fashioned Fresh Blackberry Cobbler With A Pecan Cookie Topping Is A Unique Twist On A Summer Classic! Can Be Made With Fresh Or Frozen Berries. This is a killa cobbler. KILL-A! Sweet and Tart from the wonderful fresh blackberries then crowned with a coconut pecan cookie-like topping. What-What?!?!!! Yes, you read me right. A coconut pecan topping. Altogether, deliciousness beyond belief…. I used two of the plastic containers from Costco that were 18 ounces each which measured out to be the perfect 8 cups. You can use frozen berries if you want just thaw then slightly. 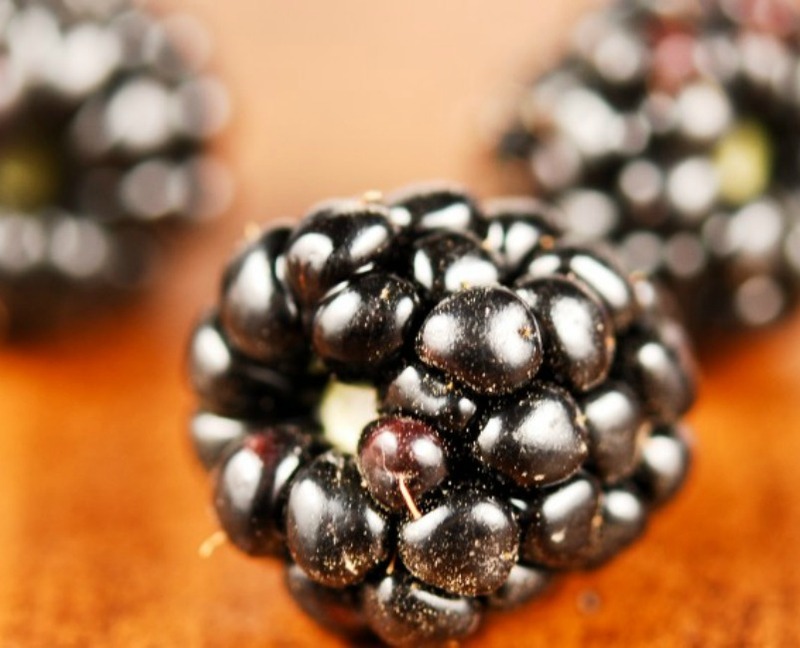 Our Old Fashioned Fresh Blackberry Cobbler With A Pecan Cookie Topping Is A Unique Twist On A Summer Classic! 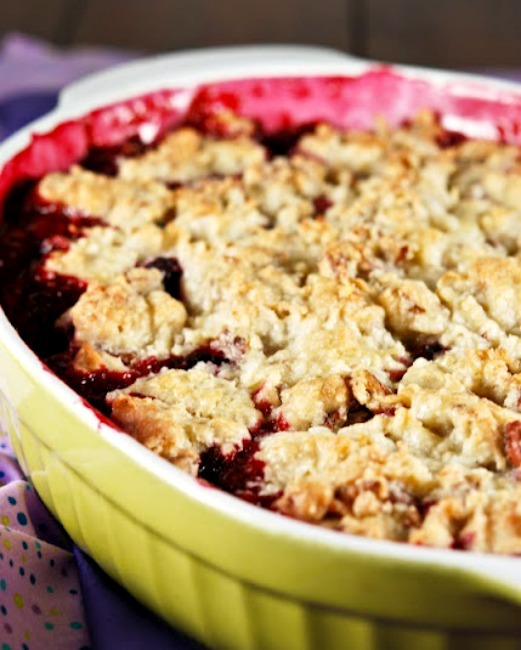 Can Be Made With Fresh Or Frozen Berries. In a large bowl gently toss the berries, sugar, tapioca, lime juice, and salt. Spoon into a 2-qt baking dish. Set aside. In a medium bowl add all topping ingredients except butter and egg. Mix until combined. Add butter. Using your fingertips, knead in butter (you're kinda pinching and smashing it) until the mixture looks like coarse sand and there are still a few visible chunks of butter. Add egg to topping and stir until combined. 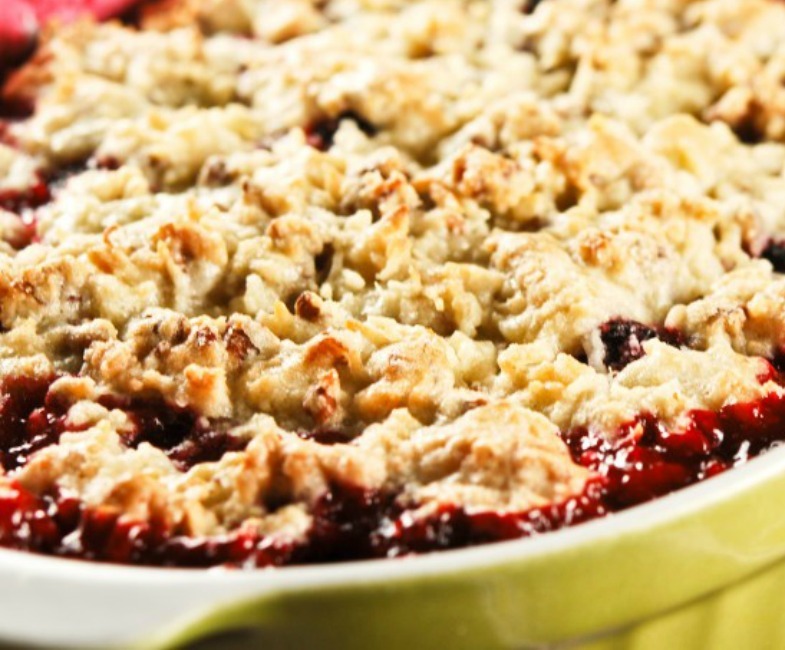 Bake the cobbler in preheated oven for 45-50 minutes or until the filling is thick and bubbly and the topping starts to brown. Cool on a rack for at least one hour before serving. I’ve never made cobbler before but I know that generally the crust is the best part and man this thing lives up to it. This came out so delicious. This is definitely gonna be a recipe that I use all the time. There is no reference to the size or type of baking dish to use. And also is the instant tapioca a dry box indgrsdiant or found cold ready made in the dairy section? Hi Jackie. Use the dry tapioca from the box. I baked it in a 9X13 inch baking dish!